Despite the fact that the Adventures in Odyssey fandom has often seemed to be split 50/50 between the Blackgaard and Novacom Sagas, fans nearly unanimously prefer Dr. Regis Blackgaard over Bennett Charles or the Chairman. If we lack a strong correlation between the character of Blackgaard and the Blackgaard Saga, then we must ask, "What makes Dr. Blackgaard a good villain?" Our favourite antagonists align towards a number of villainous archetypes. The Misguided/Sympathetic Villain's tragic back-story and emotional connections make you feel for them, possibly root for them, and at the least, confuse the morality of the situation. These are our Regina Mills, Lokis (in part), and Dalton Kearns. Dalton, who turned out to be a good father, loved Everett and was loved by him in return. It didn't lessen the fact that he faked Everett's death to kidnap him at the tender age of two, but it adds to the moral complexity of separating them. The Pure Chaos Villain is always popular, encompassing villains like the Joker, Discord, and Bill Cipher. These villains have nothing to gain from their tyranny. They burn heaps of money and put themselves at disadvantages because at the end of the day, they don't care about power or revenge, they just want to watch the world burn. "Have you ever noticed how in Hollywood movies, all the villains are played by Brits? Maybe we just sound right. We’re more focused. More precise. We have a certain style. An eye for detail. And we’re obsessed by power. Stiff upper lip is key. And we all drive Jaguars." Now I had my unifying idea. Apart from the vehicular specificity, every word of this commercial describes Dr. Blackgaard. He is focused, precise, and always one step ahead. He has an eye for detail, and he is obsessed with power. Also, he's British. Man looks at the outward appearance, and as such, physical appearance is important in establishing the tone of a villain, even for a radio show. Though artistic depictions of Dr. Blackgaard may be few, they're enough to show alignment with the classical look of a Quiet Mastermind. There is nothing too bright or flashy, no theme or gimmick. It's the stark opposite of a Pure Chaos Villain. The look is stern, commanding, and proper, conveying the gravitas and intelligence of the character. Black or white hair both work, conveying either darkness, or maturity/wisdom. In Blackgaard's case, we have a mixture of both. Turning inwards, what characteristics do we want in a Quiet Mastermind? They're truly dark. There's no moral ambiguity, no hesitation. Just cold efficiency. A deep voice which rolls off a silver tongue. It's subtle and soothing, and delivers orders from behind the scenes. When the Mastermind is angered, the threats are made all the more menacing through contrast. The British accent, while optional, does imply sophistication and intelligence, a hold-over from more imperialistic times. The Mastermind plans everything to perfection. Ever resourceful, they know how to find the assets they need and manipulate them to their will. With half-truths and blackmail, exploiting weaknesses and faults, they work through layers of planning and facades and fronts in order to accomplish goals without leaving any evidence. They are not afraid to do whatever it takes to achieve their ends, and they won't be taken down easily. To see these characteristics in our character study, we only have to look at Blackgaard's appearances throughout the show. Does Blackgaard Fit the Bill? 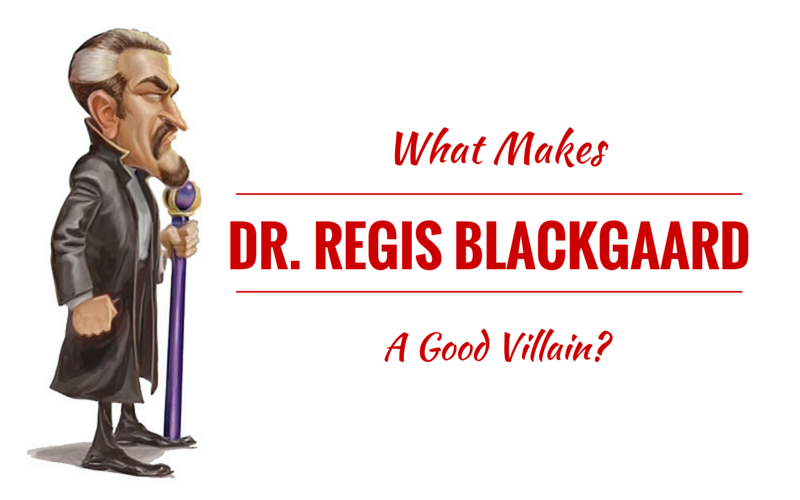 Dr. Regis Blackgaard is arguably the darkest villain on Adventures in Odyssey. No other villains are so casually murderous and cunning. While Blackgaard rarely soils his own hands, in the brief windows we see him on the show, he orders the deaths of Greg Kelly, Mustafa, and Richard Maxwell without hesitation. We can only imagine how many have died indirectly by his hand. His deep voice commands fear and respect, and he uses it to deftly manipulate all those around him. In "Blackgaard's Revenge," we see how quickly he can get right to the heart of a person's desires, and exploit them for his own gain. Blackgaard's most impressive trait is arguably his ability to plan fifty steps ahead, and the patience to see that plan through to the end. Consider the scope of the Blackgaard Saga, from the birth of Whit's End, four years before "Whit's Flop," all the way until Album 33. Blackgaard's ultimate goal concerning the town of Odyssey has always been to obtain the mineral catalyst under McAlister Park, which would grant him untold power. Along the way, other prizes like Applesauce and the government laptop have caught his eye, but the catalyst for TA-418 has always been his ultimate dream. When he was unable to acquire the land through the Webster Development Firm in "Recollections," he spent the next five years obtaining a doctorate in child psychology simply to be able to open Blackgaard's Castle and get back into the town. Over the next several years, Blackgaard either acquired or created pawns in positions of power, including Bart Rathbone, Phillip Glossman, and Mayor Bill Jenkins. In the meantime, he was creating alibis in Europe and learning everything he could about computers to prevent the recurrence of past mistakes (Richard tricking him into burning down the Castle). When Mayor Jenkins resigned to escape Blackgaard, another one of the pawns stepped into the electoral ring. Given the circumstances behind the Edgebiter scandal, it would be foolish not to suspect that Blackgaard also bought Edgebiter through his own RBG Foundation (Regis Black Gaard?) prior to the election, so that even if Tom won the office, the funding for the campaign could be used to create a controversy later, when needed. Finally, even in his most victorious moment over Whit's End, Blackgaard still planned ahead by planting himself in the Imagination Station, a contingency program to live on in the event of his defeat/demise. Blackgaard's greatest attribute as a villain is how he planted seeds so far in advance in order to grow his schemes to the perfect ripeness. Through all of this, we see evidence of another of his strongest traits: he never gets blood on his own hands. Blackgaard rarely appeared on Adventures in Odyssey compared to how often we saw the effects of his actions. From looking at his web of control, we saw how he uses other people and companies to orchestrate his desires without allowing it to trace back to the source. Through Glossman and Richard and WDF and RBG and Jellyfish and Red Scorpion, Blackgaard stayed so clean that even at the end of it all, he could run for mayor and be up in the polls. Aubrey's questions in the Imagination Station show how innocent was his record. No, he didn't burn down Tom's barn. No, he didn't steal government secrets. The flip side to Blackgaard's use of fronts and lackeys is that not only did he keep himself spotless, but he incriminated those who might betray him. Killing two birds with one stone, he gained the leverage to blackmail people like Richard into not turning him in, because Richard actually perpetrated the crimes. The final trait for Blackgaard to fill is that he's impossible to keep down or dead. At the end of the Applesauce Saga, it was left unknown whether or not he survived the fire. He was later killed by Mustafa with Ruku in "A Name, Not A Number," but it wasn't long before he revealed that it was a set-up from the start. In the end, he suicide bombed Whit's End simply to take final vengeance against the man who stood against him for so many years. Even so, he still returned from beyond the grave in digital form, and some speculate that he could be alive to this day. The only complaint that I would make about Blackgaard is the lack of knowledge about his background. Despite the fact that his own twin brother is in 22 episodes (including retrospective episodes), we still have zero knowledge of Regis as a child, almost zero knowledge of their family and its dynamics, and only one single scene in the entire show between the two brothers. Emotional depth and motive is a large part of a villain, and if I could change one aspect of Blackgaard's time on the show, it would be to include more about his past. Truly, Dr. Regis Blackgaard is an amazing villain. Cunning, ruthless, and terrifying, he cuts down all in his path for conquest, and few dare to stand against him. He is a master puppeteer with a million strings for a million purposes, and those strings all weave into a tapestry with a design orchestrated years in advance. 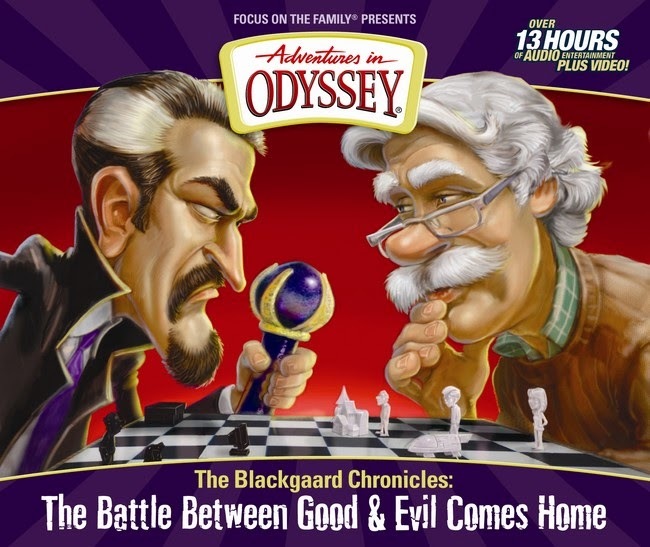 Adventures in Odyssey has had many great villains of different flavours over the years, but none will ever stand up to the legacy of Dr. Regis Blackgaard. 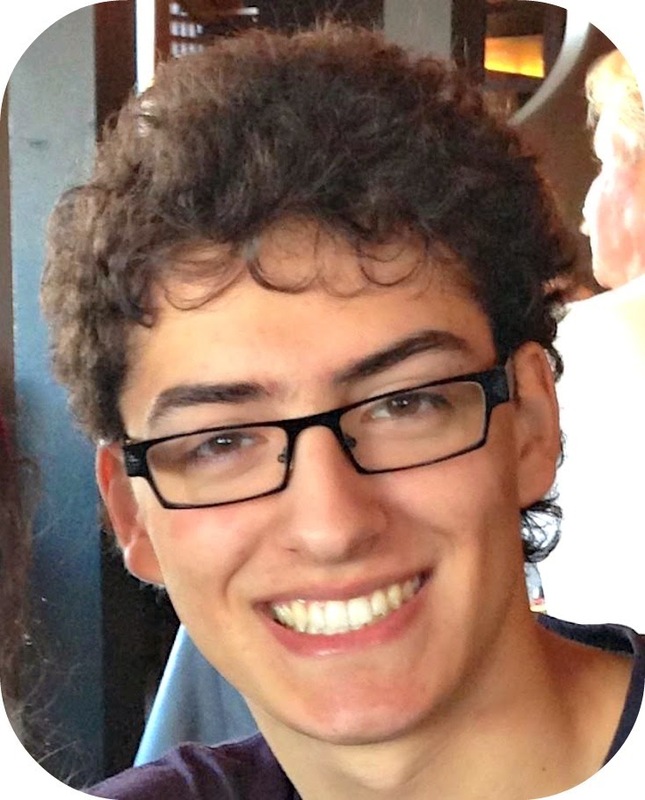 This article is a guest post by Devon Francis. 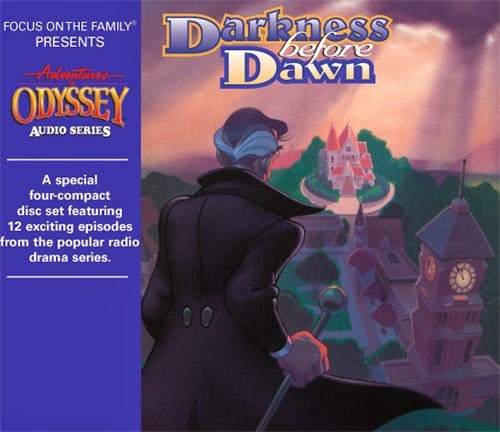 Devon is the co-founder of the Adventures in Odyssey Oddcast. He once listened to over 45 consecutive hours of Adventures in Odyssey as part of a fundraiser for charity.